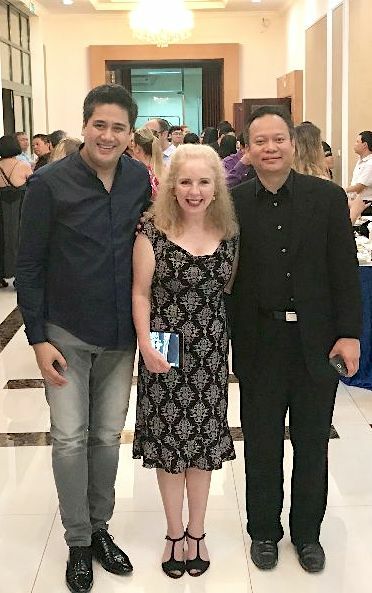 This past summer, it was my privilege to be invited to perform at the Vietnam Connection Festival, and I spent two weeks in Ho Chi Minh City (formerly Saigon) and Hanoi rehearsing and playing concerts with an assortment of musicians from Vietnam, the United States and other countries including France, Switzerland and China. This invitation came fortuitously through a concert last March, in which I performed as soloist with the symphony orchestra of San Angelo, TX. The orchestra’s concertmaster, Dr. Chương Vũ, is an accomplished violinist originally from Vietnam, and he kindly extended the invitation following my Texas performance. At first, I was a bit hesitant to accept the offer because my summer schedule was already full of concert commitments and the festival would end a matter of days before I had to resume teaching at NYU. I knew the travel would be demanding and I had little idea what the situation might be like for an American visitor some forty years after one of the most dreadful wars imaginable between our countries had ended. But Vũ was gently persuasive and I had a strong interest in visiting Vietnam, so I accepted. The first concert, which featured me as soloist in music by Bach and Vivaldi with a small string orchestra that I also led, was entitled “Stephanie Chase and Friends.” This originally struck me as quite optimistic as I knew only Vũ, slightly, through a couple of rehearsals and the concert in Texas. By the time I left the festival, however, I felt that I had gained many friends. The Vietnam Connection Festival was founded by Chương Vũ and another well-established Vietnamese violinist, Bùi Công Duy, and it turned out to be a life-enhancing experience. Although I recognize that to spend two weeks in a country is, at best, a superficial exposure to a culture and its people, I found without exception a level of civility that was inspiring – especially in contrast to what we Americans are now experiencing in our own country – and the musicians of the festival were not only excellent players but also supportive and gracious colleagues. Our first concert was held in the Opera House of Ho Chi Minh City, which is a lovely albeit slightly decayed artefact of the French occupation (1887-1954). As I looked from the stage into the audience, I felt extremely moved to be there. Chương Vũ was a co-soloist in Vivaldi’s Concerto for Four violins and my co-soloist in Bach’s Double Concerto for two violins was Bùi Công Duy. 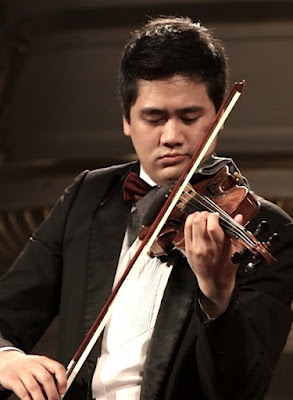 In demand as a soloist, chamber musician and professor at the Conservatory in Hanoi, he is, by all accounts, the premier violinist in Vietnam, but played the second violin part which was another generous gesture. In addition to this concert, I performed Bottesini’s crazily virtuosic duo for violin and double bass with the American bassist Jeff Bradetich, who is on the faculty of the music school at the University of North Texas in Denton. We performed it twice – once in Ho Chi Minh City and then Hanoi – and were conducted by Maestro Honna Tetsuji, who is originally from Japan and has conducted the Vietnam Symphony since 2001. He, too, is an enthusiastic musician and kind individual. The program featured a variety of soloists and included music by Elgar and Bach. In between my own events, I attended terrific concerts by two guest string quartets – the Ulysses from the United States and the Quatuor Arod from France – and there were additional concerts featuring festival musicians. I also gave a master class to several talented students of the Vietnam National Academy of Music in Hanoi and participated in television interviews. 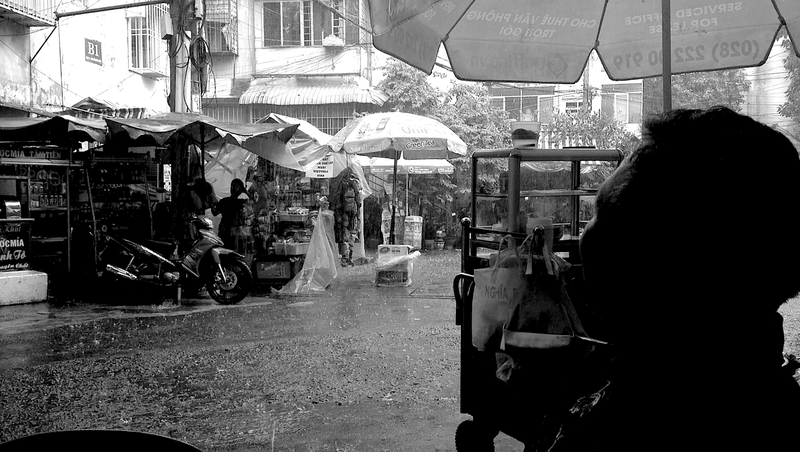 Waiting out the rain at the "Lunch Lady"
years thanks to the late Anthony Bourdain whose fascination with, and appreciation for, Vietnam and its people was an additional source of inspiration. The most unusual things that I ate there were probably fish maw – at least that’s what I think it was – pork intestine, blood sausage and a strongly fermented anchovy-derived condiment that is purple in appearance (that the locals seemed to avoid). I also took several extensive walks through the neighborhoods of Ho Chi Minh City and, especially, Hanoi, where – in addition to many fascinating sights and museums – I encountered children who were eager to practice speaking English with me. At the end of my stay, I visited Halong Bay, which is a World Heritage site and a strong tourist attraction for the bay and its limestone islands, where I went kayaking and found an amazing local cave. Understandably, Vietnam is encouraging tourism and commercial investment and I am hopeful that a balance can be struck so that places like Halong Bay do not become overly developed. It was poignant to be in Hanoi the day that Senator John McCain died. My hotel was adjacent to the “Hanoi Hotel” (Hỏa Lò Prison) where he was held captive for more than five years, including two years in solitary confinement. Not far away was the Trúc Bạch Lake, where he was captured after being shot down. If it were not for the Vietnamese who rescued him from the lake – he was apparently unconscious from the ejection and being dragged underwater by his parachute – he likely would have died, although he was tortured while a prisoner and his physical health was permanently affected. It is notable that Senator McCain was among the Americans who sought a normalization of relations between our countries, which was officially recognized by the United States in 1995. A final personal note: I think that all visitors to Ho Chi Minh City should spend some time in the War Remnants Museum. I went with a sense of dread, knowing that many of the exhibits would be immensely disturbing, but came away with a more profound awareness of the war and its toll on all sides, including the lingering and awful effects of Agent Orange, the dioxin used by American forces to defoliate the dense vegetation that is found in much of Vietnam, and the dehumanizing effects that war has on both soldiers and citizens. It was somewhat jolting to see a concert poster, with my face on it, amongst the horrors of the Museum, but perhaps this is indicative of Vietnamese philosophy; the past informs, but the present and future warrant optimism. I am grateful to Chương Vũ and Bùi Công Duy for having brought me to Vietnam and for participating in this Conversation. 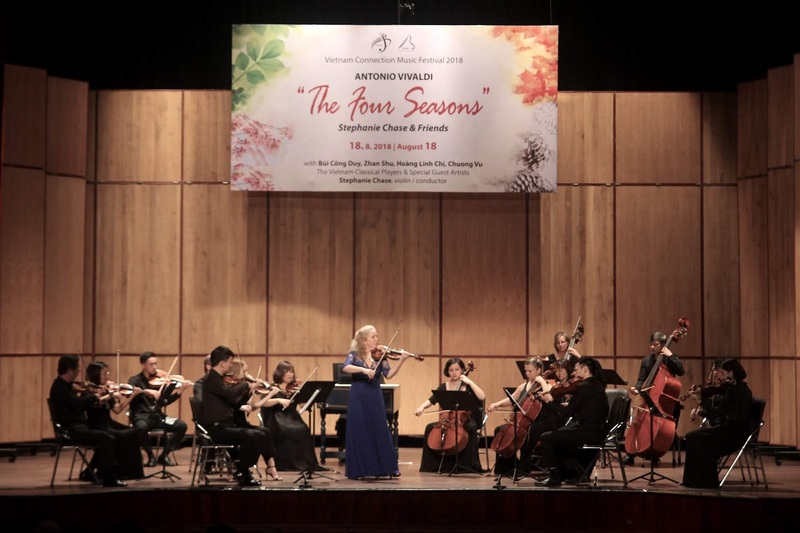 STEPHANIE CHASE: How did western classical music first come to Vietnam? BÙI CÔNG DUY: Classical music and Western instruments first came to Vietnam during the 17th-century through the Catholic missionaries who brought with them the first violins and other instruments. Thanks to the missionaries’ effort, followed by French colonization, the Vietnamese people began to listen to as well as to study classical music. Since then, classical music has become more and more popular and been developed professionally in Vietnam. 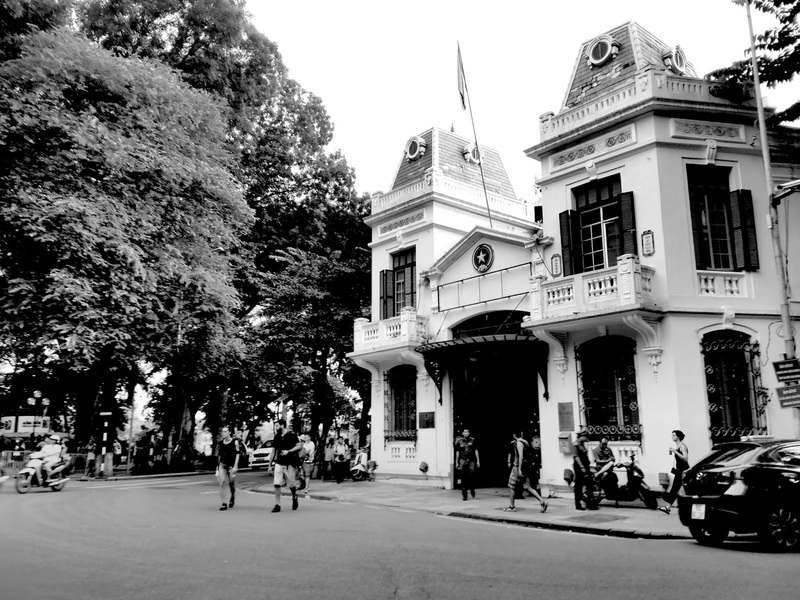 STEPHANIE CHASE: I also noted the French influence that remains in some of the old architecture, as in the Opera House in Ho Chi Minh City and the French section of Hanoi. It has also left its mark on your cuisine, such as delicious bánh mì sandwiches and pastries. What led you to study the violin, as opposed to another instrument? CHƯƠNG VŨ: When I was 6 years old, my father gave me a small violin and told me: “Son, here is a gift for you! I hope you will love it,” and the violin has become a part of my life since then. BÙI CÔNG DUY: The violin is the first musical instrument that I have heard in my life. My parents introduced it to me and I have come to love it because of its expressive, heart-wrenching, unforgettable and gorgeous sound. STEPHANIE CHASE: That’s a beautiful sentiment, and so telling that you describe the tonal quality – often it seems that virtuosi are looking to play impressively fast rather than with an emotional sound. Who were your first teachers? BÙI CÔNG DUY: My father. CHƯƠNG VŨ: My father taught me for a very short time. Professor Bùi Công Thanh (Duy’s father) is my first principle teacher. STEPHANIE CHASE: I began with my mother, who was a better violinist than my father! Did you also go abroad to study? What was it like for you? CHƯƠNG VŨ: I obtained my Bachelor’s, Master’s and Doctor’s degrees from the United States. The decision to come here to study to this day remains one of the best decisions I have ever made. I really appreciated all the education and the opportunity that I have been given by this country. BÙI CÔNG DUY: Yes, I went to school in Russia for a period of 15 years, starting when I was 11 years old. It was a turning point for my life. During my time there, I grew musically and gained many successes, creating the basis for my career’s development to this day. STEPHANIE CHASE: The Russian School has long been recognized as one of the great sources for outstanding violinists, perhaps most profoundly through the students of (Hungarian-born) Leopold Auer, and continuing throughout the 20thcentury with violinists like Leonid Kogan. But it also noted for being extremely rigorous, which is exactly what we need to develop a first-rate technique. What have been your greatest inspirations – musical or otherwise? BÙI CÔNG DUY: It is different depending on the time of my life. During my early years, I got my inspirations by the virtuosic, powerful, energetic and inspiring characters of Michael Jackson’s immortal music. Later, my inspirations came from listening to the piano and violin concertos or famous symphonies by Brahms, Rachmaninov, Bach, Tchaikovsky and Sibelius, among others. Sometimes the inspirations come from just by watching a soccer match or by reading interviews and articles by my favorite people. CHƯƠNG VŨ: I am inspired by so many things. When I was young, Dang Thai Son – the first Vietnamese pianist to win a gold medal at the prestigious Chopin International Piano Competition – was my greatest inspiration. As I grew older, I got my inspirations from reading about the great artists of the past and their lives and trying to find a connection with them. I am often inspired by a need to express myself in a way that I am not able to with words. It is when music comes to the rescue. 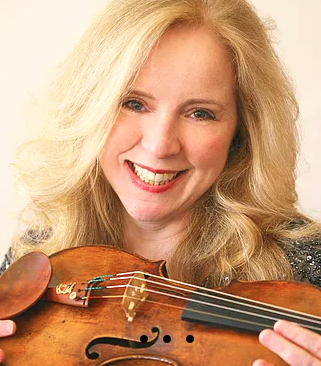 STEPHANIE CHASE: My early inspirations included the music of Motown – artists like Aretha Franklin, the Four Tops and the Temptations – alongside hearing some wonderful violinists, both live and in recording. Lately I am examining the connections between music and nature and find that it’s a subject without limitation – more a process without an expectation of finding all the answers. What led you to create the Vietnam Connection Festival and what is your mission? 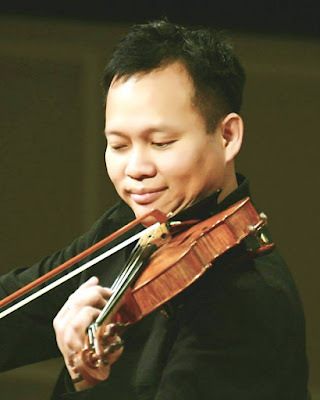 CHƯƠNG VŨ: As a Vietnamese-born musician who has achieved certain success in the United States, I felt the needs of reconnecting with my roots and contributing to the country where I was first educated in classical music. The Vietnam Connection Music Festival (VNCMF), therefore, was given its birth in 2015. The festival brings distinguished international artists, as well as accomplished Vietnamese musicians living abroad, to Vietnam to collaborate with Vietnamese artists, to perform and teach classical music. 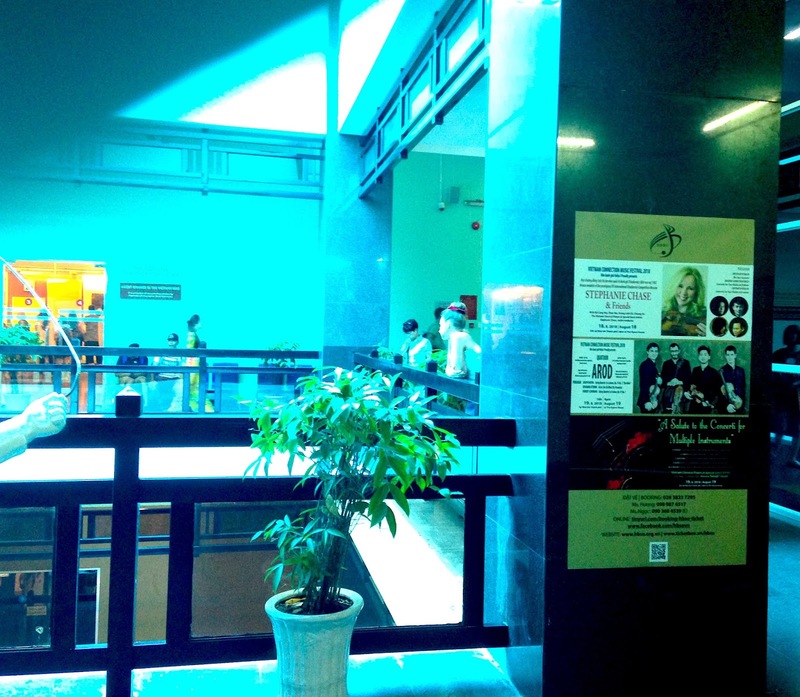 Through meaningful cultural exchange activities, VNCMF aims to bring classical music closer the public. BÙI CÔNG DUY: It is because of my great love for music and the love for my country. I am proud of Vietnam and want to introduce to international friends the country as well as the culture and the people of Vietnam. Our mission is to bring classical music to all audiences, irrespective of age or occupation. An important goal we aim for is to give our musicians the opportunities to work with and to learn from colleagues within Vietnam and abroad and from that they can get the motivation to improve themselves. The Festival has helped me to grow in many aspects. STEPHANIE CHASE: This is so admirable, on so many levels, and I see that the Festival also hosts an international competition. Is there government support for the festival? BÙI CÔNG DUY: The Vietnam Connection Music Festival is a private organization. As of now, there is no governmental support for the festival. STEPHANIE CHASE: You are doing a beautiful job. To bring in so many artists from diverse parts of the world is expensive and complicated, and yet you both always seemed so calm even when problems arose, such as when a string quartet’s cellist badly sprained his wrist and had to be replaced on short notice! I was very happy to see young children at the concerts, along with at least one parent – it reminds me of playing a Sunday concert in Mexico, when entire families attend while spending the day together – do you especially encourage children to attend the concerts? BÙI CÔNG DUY: Yes, we would like to see many young faces to come to our concerts and we are very grateful to the parents who have bought tickets for their children to attend classical concerts rather than to go to the cinema. However, children are hyperactive and it’s difficult for them to sit still, so it is very important for the parents to help us by keeping them in order while watching the performances. STEPHANIE CHASE: Not too long ago, I sat in the balcony following a concerto appearance with an orchestra and was near a very young girl – maybe five years old – who sat in her mother’s lap as the orchestra played a lengthy work by Elgar. She was amazingly well behaved – far better than many adults – and I think this had to do with her mother being a musician. I am struck by, and appreciative of, the graciousness of the Vietnamese people towards Americans, especially in view of the tragic events of the Vietnam War and its unspeakable atrocities. Were your families directly affected by the war? Is there an official governmental attitude towards the United States? BÙI CÔNG DUY: Our family was completely unaffected by the war thanks to the government's policy of investing in the arts at the time. Both of my parents were selected to attend music conservatories instead of having to carry guns. I was born five years after the war was over and it was a very difficult time for our country. I am happy that my parents had driven me into the music industry. History has shown that “Cultural Exchange” is one of the shortest paths to connect people with each other, helping them to understand each other more as well as to bring peace to the world. CHƯƠNG VŨ: The U.S. and Vietnam have built strong diplomatic and economic ties since the war’s end. Most Vietnamese people, especially young people, consider the war is the past already and do not talk about it. Friendliness is one of the typical characteristics of our people. 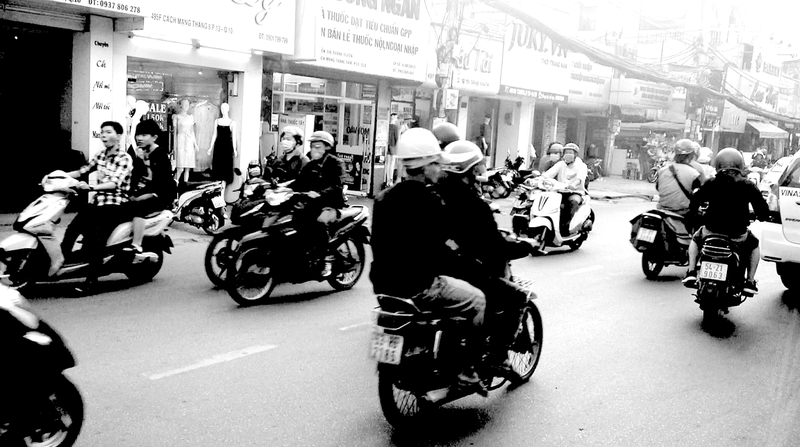 I am not surprised by the welcoming attitude of the Vietnamese people towards Americans. STEPHANIE CHASE: I, for one, was happily surprised by the friendliness towards me throughout my visit, even from people I encountered on the street. Through the Vietnam Connection Festival, you have created an extraordinary entity that, through great music and camaraderie, deserves to be a destination for people throughout the world who wish to visit and learn about Vietnam. Thank you for bringing me to your beautiful country and for the many new friendships that have resulted. Stephanie Chase is internationally recognized as “one of the violin greats of our era” (Newhouse Newspapers) through solo appearances with over 170 orchestras that include the New York and Hong Kong Philharmonics and the Chicago, San Francisco, Atlanta and London Symphony Orchestras. Her interpretations are acclaimed for their “elegance, dexterity, rhythmic vitality and great imagination” (Boston Globe), “stunning power” (Louisville Courier-Journal), “matchless technique” (BBC Music Magazine), and “virtuosity galore” (Gramophone), and she is a top medalist of the prestigious International Tchaikovsky Competition in Moscow. In the Summer of 2018 she was featured at music festivals in Newport, RI, Mt. Desert, ME, and Martha's Vineyard, MA, and made her debut in Vietnam, where she performed in Ho Chi Minh City and Hanoi.